I told you that… the boss is back! Hmm… Yep, I will approve that. Black Thought is a lyrical boss! Got a sponsored short embedded here for you (but we ain’t here for the biz; here for the BARZ, son). “Streets” is off the latest EP. The City Of Brotherly Love’s own, Tarik “Black Thought” Trotter definitely has Roots (had to do it) in the hometown, so there is a bias. But that does not mean the case he makes in this ‘Visit Philadelphia’ series, coaxing all to come, is not valid. You already know about the cheesesteaks and global eats from an earlier post (here), but watch up (above, continuing after the jump) and see more proof! Tarik “Black Thought” Trotter of Grammy award-winning Hip-Hop band The Roots and Dustin Ross, co-host of weekly podcast “The Friend Zone,” meet up at a famous cheesesteak shop in North Philadelphia. Later, New York Times best-selling author Luvvie Ajayi and Founder and CEO of Skai Blue Media Rakia Reynolds strike up a conversation over tasty Moroccan food and belly dancing. Black Thought’s powerful title track to our upcoming docu-series pays tribute to the life and legacy of Trayvon Martin. “Rest In Power: The Trayvon Martin Story” premieres Monday, July 30th on Paramount Network. How effortlessly does Tariq move from topic to topic to freestyle on air? A natural! 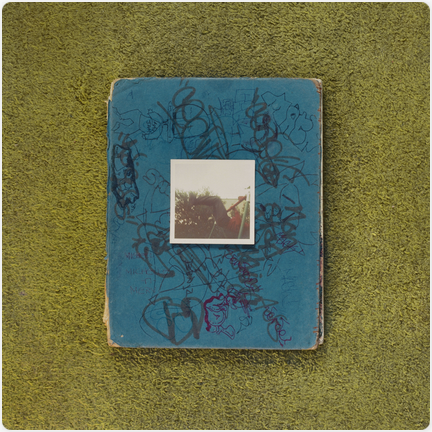 Black Thought passed through following the release of his latest project Streams Of Thought, Vol. 1. He spoke about the rap beef, whether he really dissed Diddy and Biggie back in the day, Kanye West, how he prepares for his freestyles, and even spits a new one for Ebro In The Morning. Great insights in this, plus SKILLS! Okay. 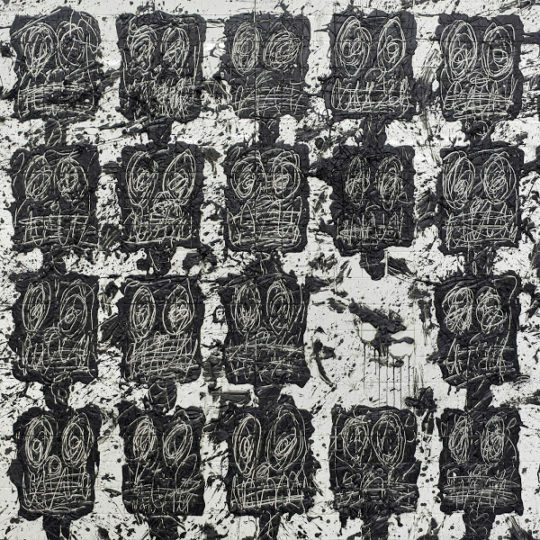 So this is what we’re doing Black Thought… packing an EP like the Warriors roster?? Ought to be dope judging from the lineup alone (9th, Rapsody, AND SP). But wouldn’t it be great if you got a preview, like a FREEview listen, before deciding if you’re gonna grab the download? Somebody had to do it: that chant above and the show embedded above that. That’s Black Thought up top. Boom bap rapping and it don’t stop. Neither does this party with a purpose. So nod ’til you get a li’l loopy. Then catch Lupe after the jump. They were down there helping raise money for hurricane relief. Enjoy. Lookit. If you don’t think Black Thought is not an all-time great emcee (as in a G.O.A.T., if not the G.O.A.T. ), then we don’t have much to talk about. You may not get anything from this post. But you still ought to watch his sit down with Touré. And learn… some RESPECT! Hmphf… acting like Tariq didn’t set Funk Flex’s mic on fire just over a month ago (watch again here). Tarik Trotter aka Black Thought of The Roots and Jimmy Fallon discuss the 10-minute Funk Flex Freestyle that smoked and left the Interwebs wide open. Look back on here and see how Thought got down and shut the off-top rhyme game down… AFTER you watch the talk clip above. Funk Flex got Black Thought of The Roots to fall through and freestyle, too?? MANDATORY watching… this is not up for discussion. Tariq is that BEAST emcee that your favorite rapper’s favorite rapper is not trying to see!! But you don’t have to take my word for it. Watch Thought do just like how you thought he’d do on here. Mic. Left. SMOKED! Respect! For these flows, AND for Meth going into the phone to ensure he was NOT caught slipping when he was on the mic live KNOWING that Black Thought was about to hop on and BEAST it with him! These Legendary Roots Crew-Tang flows though! They KILT IT! Throw a plaid skirt on this sh!t!! Oooh-hooo-hooooohhh my DAMN! David Banner does it again. Listen to him, WatchtheDuck, and Tariq run this THX track. YOOOOO! This jawn BANGS!! Beatz & Lyrics on display (nice working in that ‘Phoenix’ sample from Tariq in the breaks). Every lyricist bringing drive; racing down the J. Period track like we gotta get there. Where? To the revolution! What does it mean to “RISE UP?” What does it mean to RESIST? 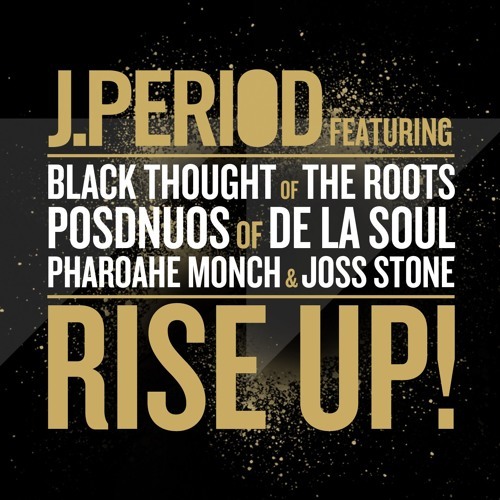 Produced by J.PERIOD, this epic single brings together an historic lineup of artists — Black Thought of The Roots, Posdnuos of De La Soul, Pharoahe Monch & Joss Stone — to explore the meaning of “resistance” and the state of our Union. Additional production and instrumentation from Stro Elliot (Playlist Retreat), Larrance Dobson (1500 Or Nothin, Kendrick Lamar, Timbaland) and Jesse Blum (Misterwives). RISE UP EP available May 2.